Welcome to the Fryderyk Hotel*** - the only hotel in Nysa where you can experience the perfect combination of elegance, comfort and excellent service. FRYDERYK*** is a cosy hotel located in the historical, but fully refurbished, tenement house. Its perfect location, nearby the market square, makes it an attractive place for both businessmen and tourists visiting our town. - Check-in time is 2:00 p.m. on the day of arrival and check-out time is 12:00 p.m.
- All European credit and debit cards are accepted. no lifts are available in the hotel. We offer a portable wheelchair lift for the disabled. are at your disposal at the reception. and a la carte dishes are served till late evening hours. Our club with its exceptional ambience is located in the basement. Our hotel is located in the historical midtown, 150m from the market square. cash machine (30m), hospital (150m) as well as a bus stops. Hotel FRYDERYK is located in the municipal paid parking zone. -for the fourth and subsequent hours - 1,50 zł. Free of charge park is available 50 m from the hotel. Paid, guarded car park is available 600 m from the hotel premises. We recommend using our transport - fixed price guarantee ! We offer a shuttle service from / to Wroclaw , Opole , Katowice, Krakow. The Wi-Fi Internet is available throughout the hotel free of charge. conditions for both work and relax during your stay. iron on demand, kettle (coffee & tea set, mineral water). All rooms have air conditioning. All bathrooms and shower rooms are equipped with hairdryers.. The hotel restaurant is located on the ground floor of the building. Its original, music-oriented interior creates exceptional atmosphere. It is the perfect place for business and leisure meetings. Breakfast for the hotel guests is also served in the restaurant. Among tourists Nysa is known as the "Silesian Rome" or the mysterious fortress town. Spectacular monuments attract both history lovers and ballistics enthusiasts always in search of adventure. Everybody can find something interesting here; those needing more rest can lie on a sandy beach or bathe in the lake. For those who wish to be more active, we offer water sports, walking and cycling. 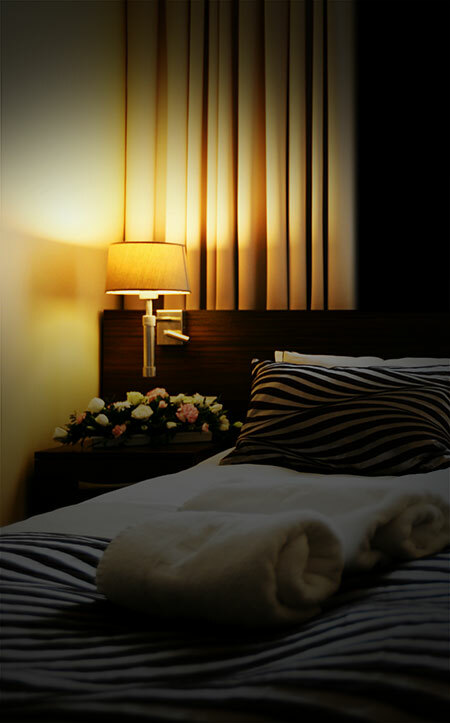 The only hotel in Nysa where you can experience the perfect combination of elegance, comfort and excellent service.